Car racing can be difficult to watch. NASCAR is found by many to be boring for its lack of right turns and Formula 1’s long midrace parades can induce sleep. Many just don’t seem to have the patience or care to focus on cars going around in circles for more than 10 minutes. Thankfully, there’s a series that can compete with your smartphone for five-minute bursts of entertainment. 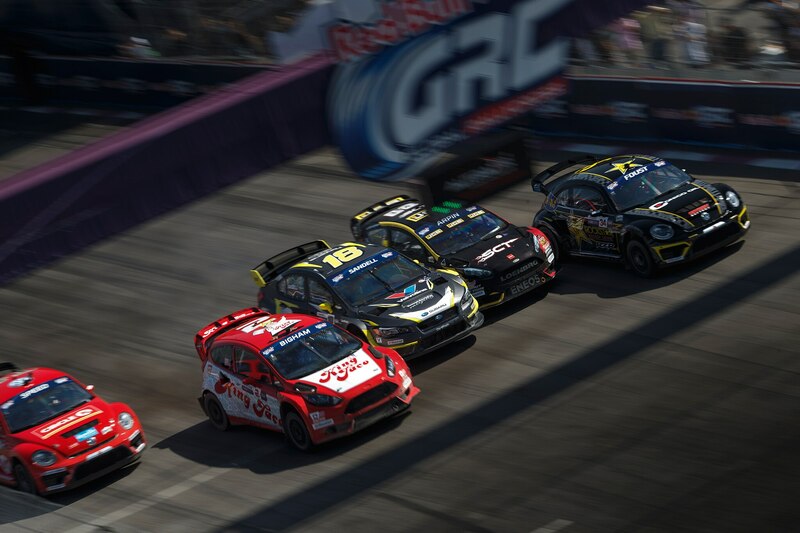 Though rallycross was born in Europe 50 years ago, Red Bull Global RallyCross (GRC) has won over legions of fans in the seven years it has been racing in the U.S. 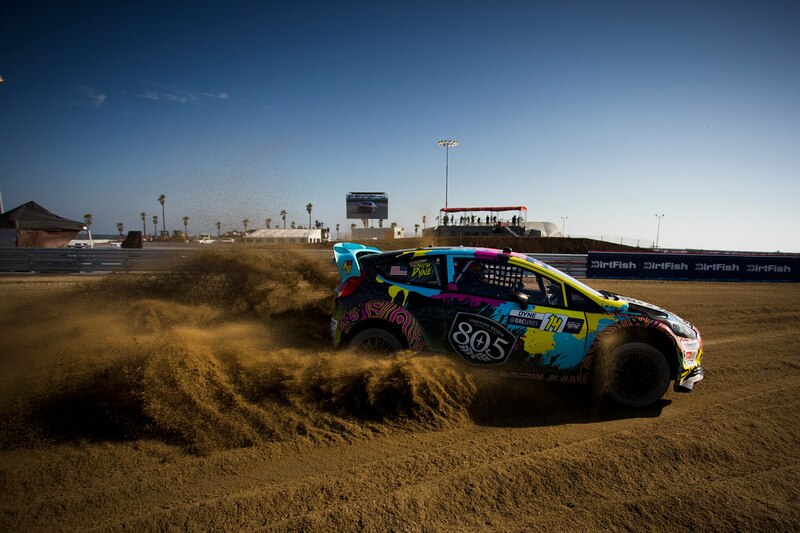 Affordable production cars like the Volkswagen Beetle, Honda Civic, and Subaru WRX STI are stripped down and heavily modified to become 600-horsepower rally beasts that sling mud, launch off 40-foot jumps, and reach 60 mph in less than 2.0 seconds. They feel louder than modern F1 cars and sound terrifyingly better. 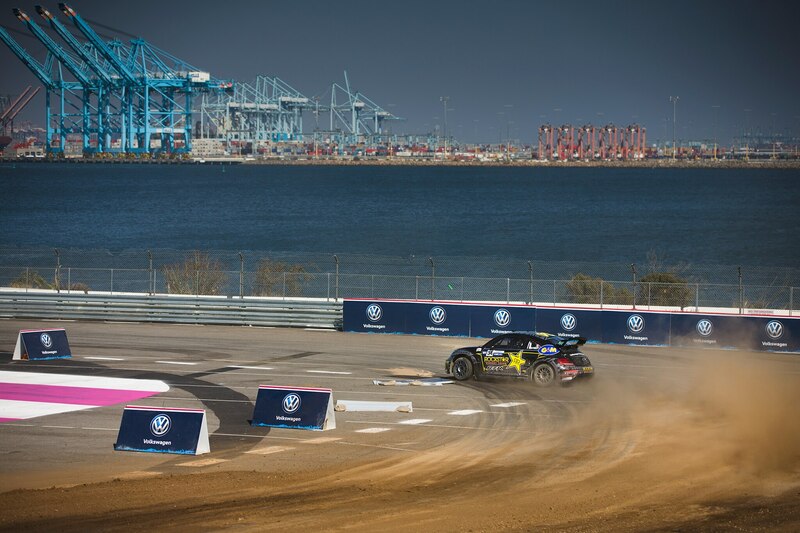 And once a year, residents in Southern California are treated to this bite-sized racing spectacle in their backyard. 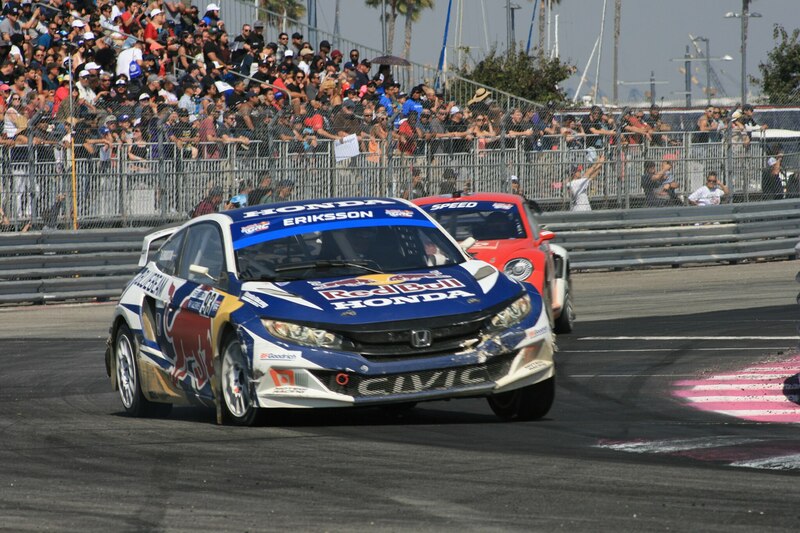 The Port of Los Angeles in San Pedro, California, is home to the final race of the Red Bull GRC season and also serves as the series’ home race. 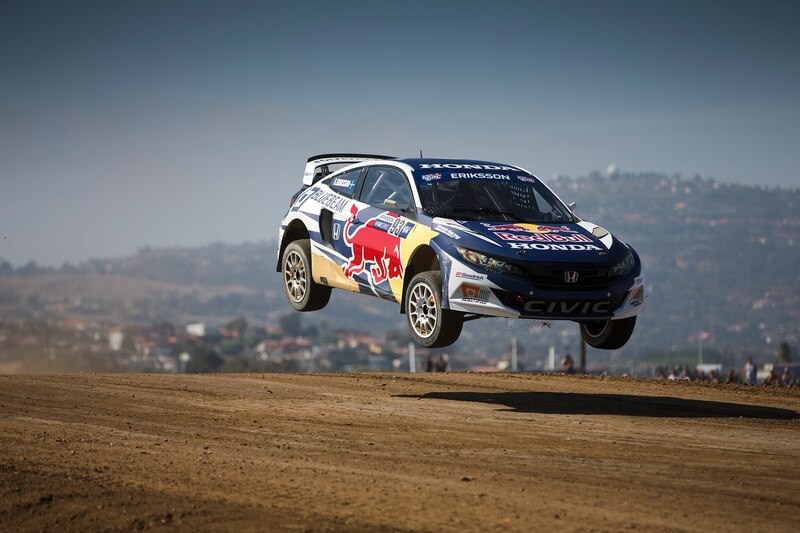 Like all courses on the calendar, the L.A. circuit consists of a tarmac and dirt section complete with a jump that sends cars soaring through the air, many times while side by side. The course features a “joker lap” section that offers a shortcut, which can only be taken once to throw strategy into the mix. Sailboats cruise by in the harbor alongside the track and even the Space-X Falcon 9 was on display, fresh from its trip to space only days before. Attendance at the race has grown each year, and 2017 is no exception. 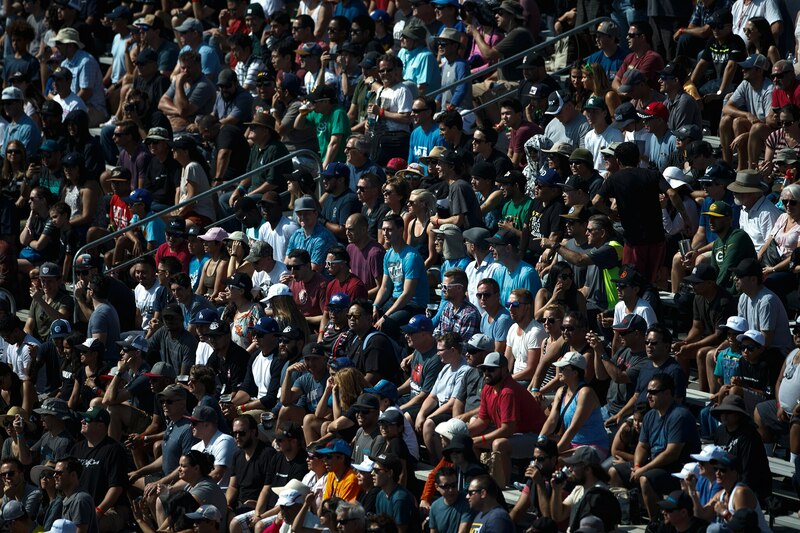 The grandstands were packed with people wearing various team hats and shirts. The audience was contagiously responsive to every pass, crash, and jump the drivers treated it to. 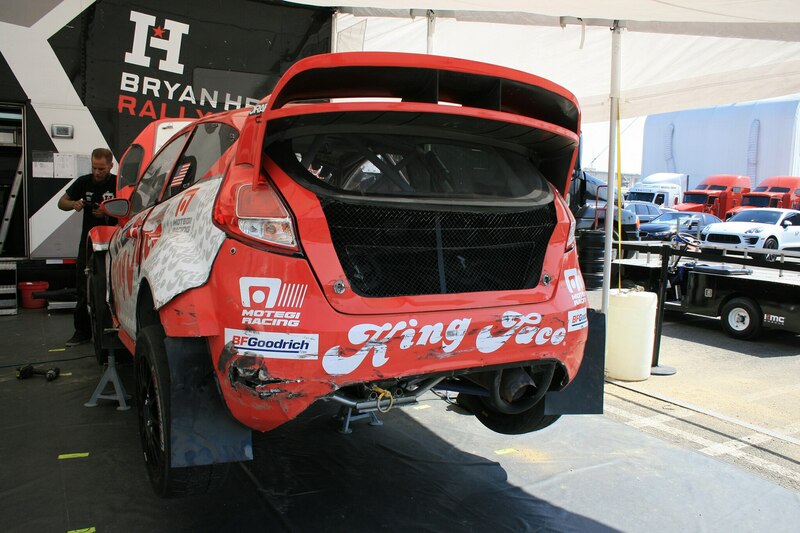 Even the paddock is frantic, as battle-scarred cars limp back to their garages, where mechanics throw themselves over and under the cars attempting to make any repairs they can before they’re sent back out to do it again. The paddock also offers fans an opportunity to get up close to their favorite drivers for impromptu selfies and autographs, which the drivers give without a single scowl. This accessibility is reminiscent of scenes from motorsports past, where cars drive by walking spectators and fans can get up close to the ensuing drama as it unfolds in the garage—a far cry from many modern motorsports series. Racing consists of qualifying before they begin a series of heats that award championship points. 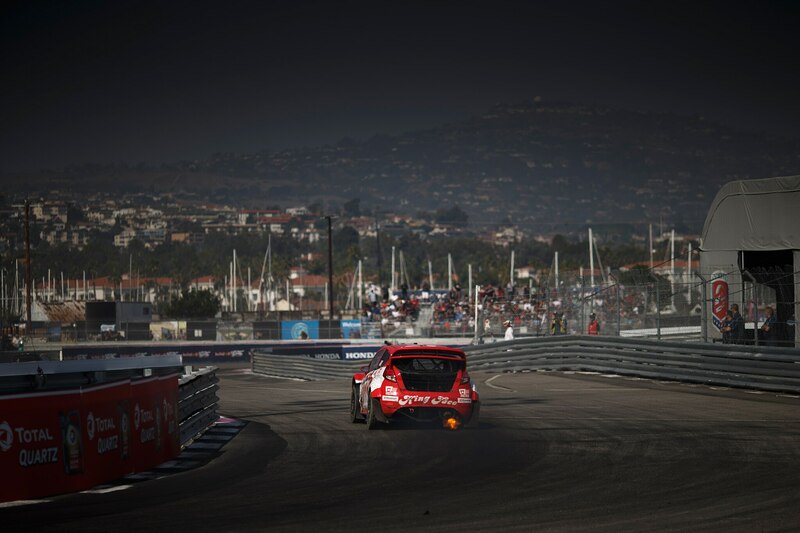 Heats consist of three to five cars that run flat out over just five laps. Next come the six-lap semifinal races, where the field is split into groups and more points awarded. The top four finishers of each semifinal progress to the main event race, while the rest compete to finish in the top two positions in a four-lap last chance qualifier race. The main event race is the longest of the competition, but still only 10 laps. 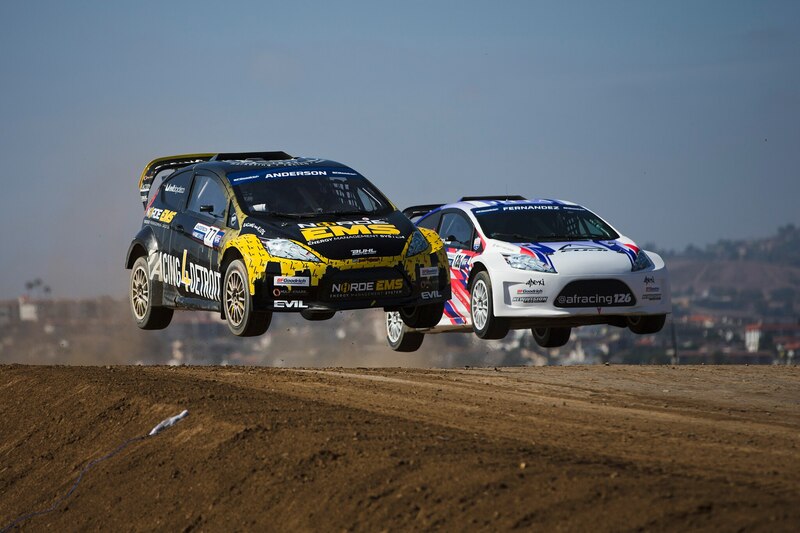 The championship has two classes, Supercar and Lites. Supercar features legendary open-wheel racing names like Andretti, Rahal, and Herta as team owners, and former World Rally Championship drivers such as Chris Atkinson and Patrick Sandell. Lites provide equally exciting races, although with half the horsepower, and represent the rising talent that will proliferate the Supercar class in the years to come. 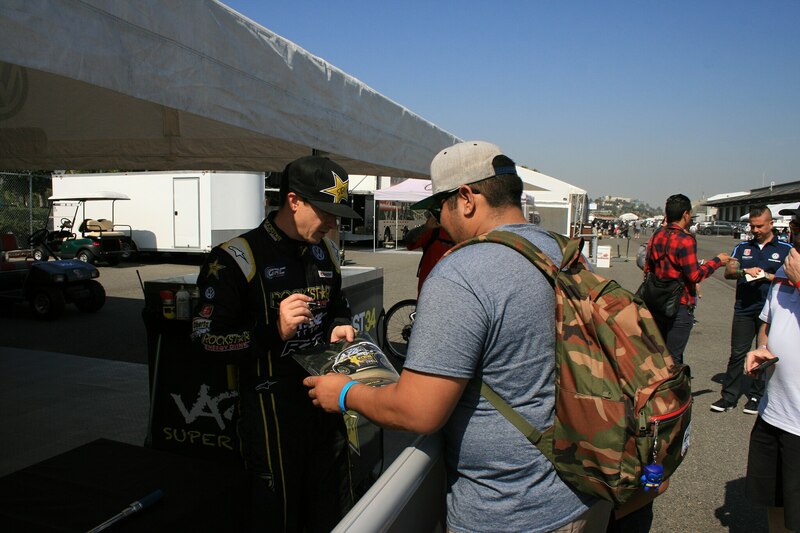 Scott Speed, a former F1 and NASCAR driver, headed into the weekend’s race as the driver to beat in the Supercar class. 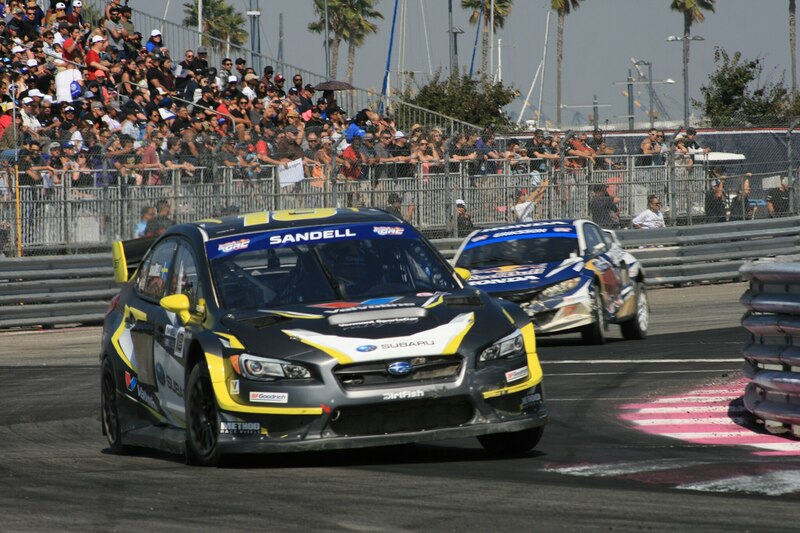 He’d won the last two championships and held the championship lead over his Volkswagen Andretti teammate Foust with a comfortable margin. Speed just needed to finish, while his teammate needed to dominate. For a while, it looked as though a championship upset was in the cards. 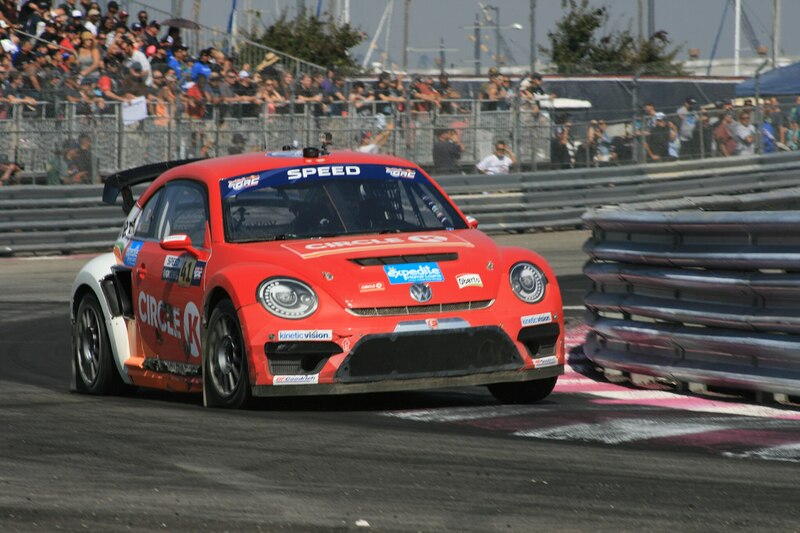 Even Foust had a glimmer of hope in his eyes as he stepped out of his Beetle after a heat victory, while Speed finished fourth, losing valuable points. 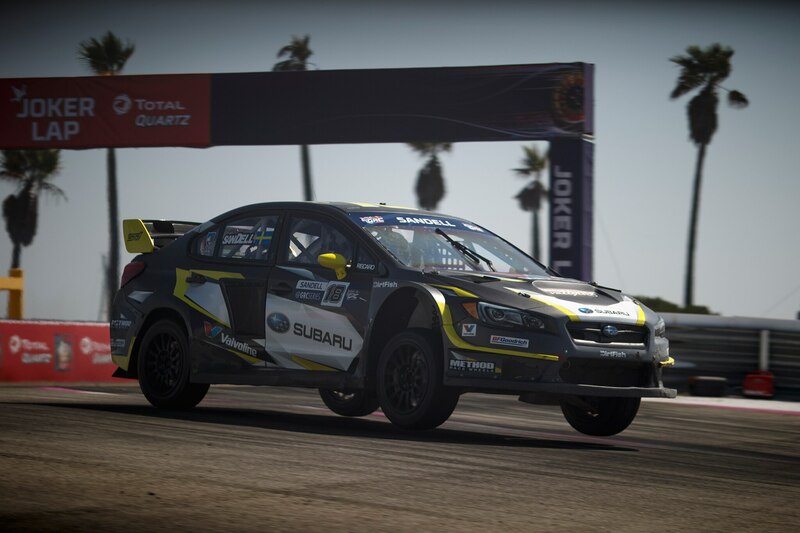 Foust did everything he could to steal the championship away from his teammate by winning his heats, semifinal, and even the main event race. But Speed had done enough. 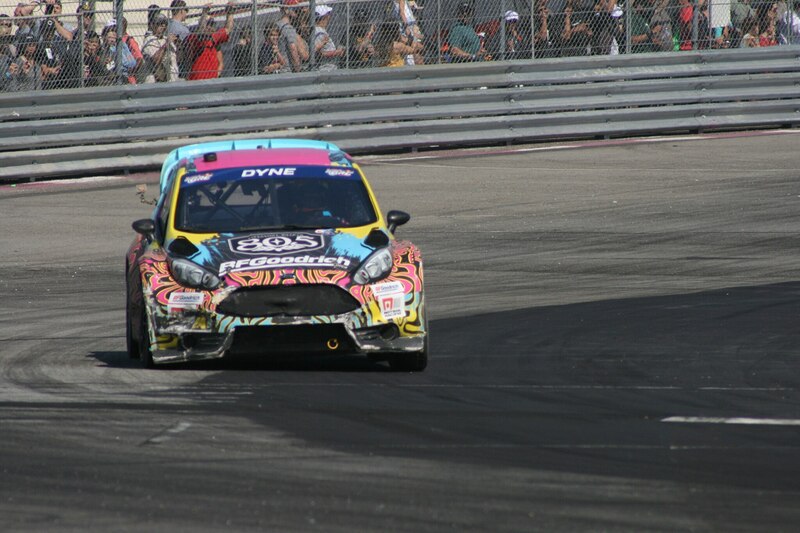 He won a heat and finished second to Foust in the main event race, ultimately winning the championship by 19 points. 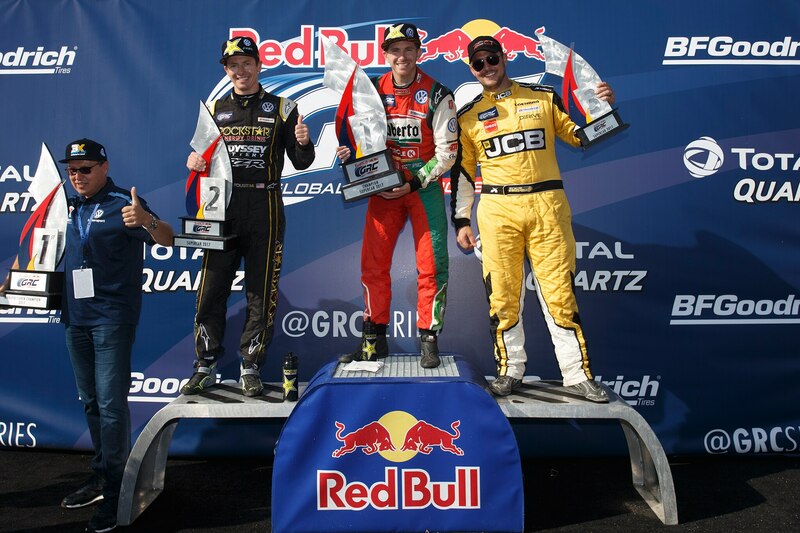 The year has been great for Andretti and his drivers, and the day has certainly been wonderful for everyone in attendance at this year’s GRC finale.